October is Breast Cancer Awareness Month. 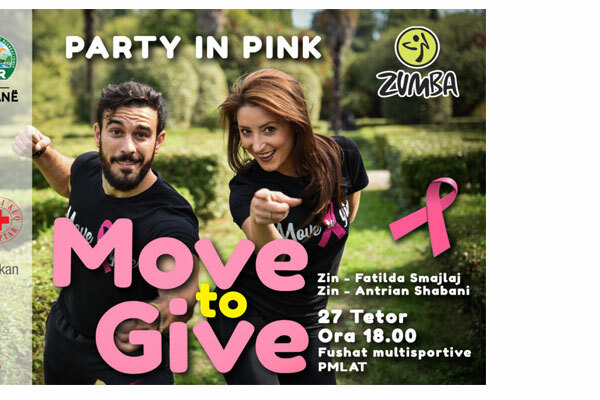 Tirana will join for the second consecutive year the "Move to Give" movement, a fitness community to support millions of women who need support and millions of others that can prevent the cancer in time. Come on October 27th at 6pm in Sports Fields at the Great Artificial Lake together with the Instructors Fatilda Smajlaj and Antrian Shabani to help in the socialization of women through dance, zumba rhythms, freeing the negative energies and creating a mood of positivity.